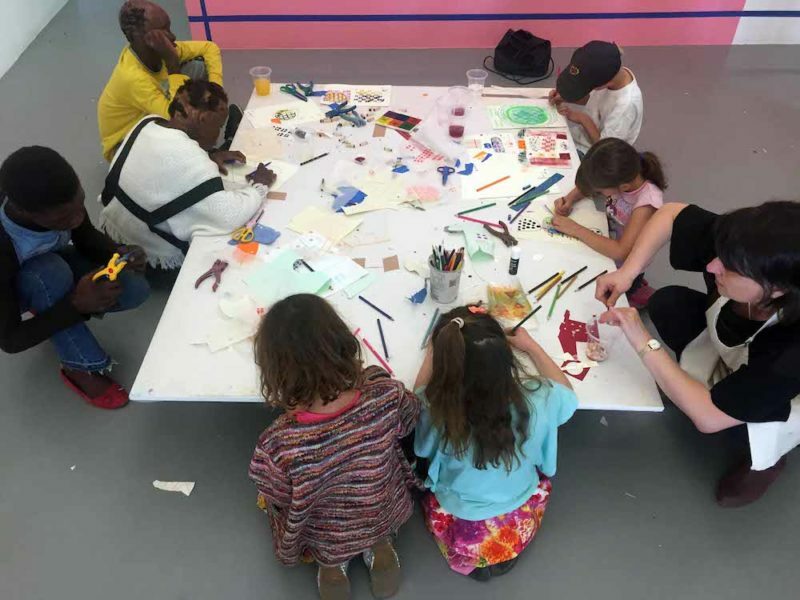 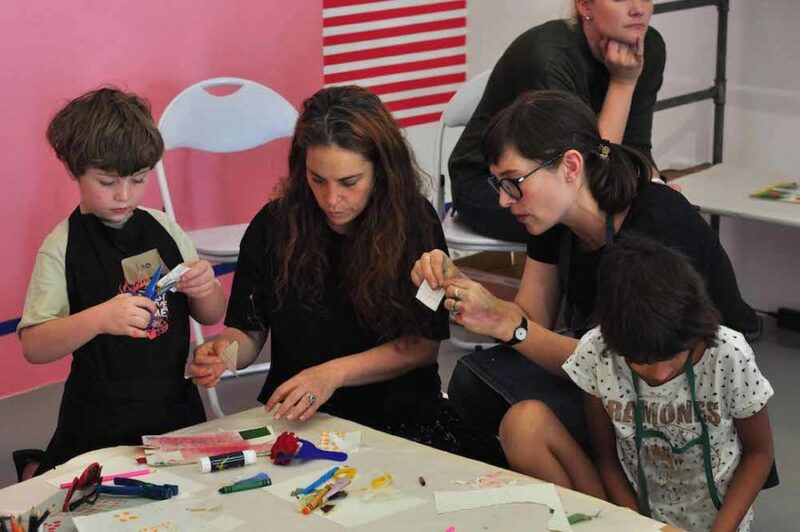 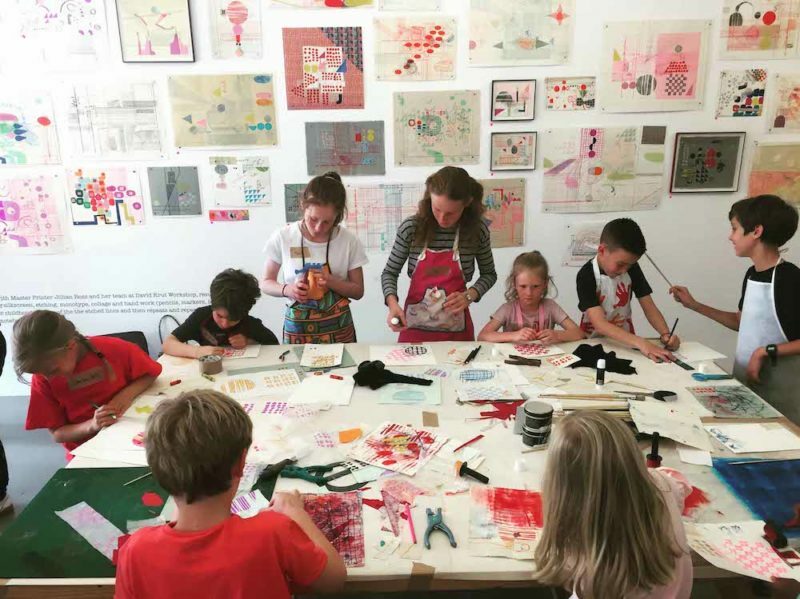 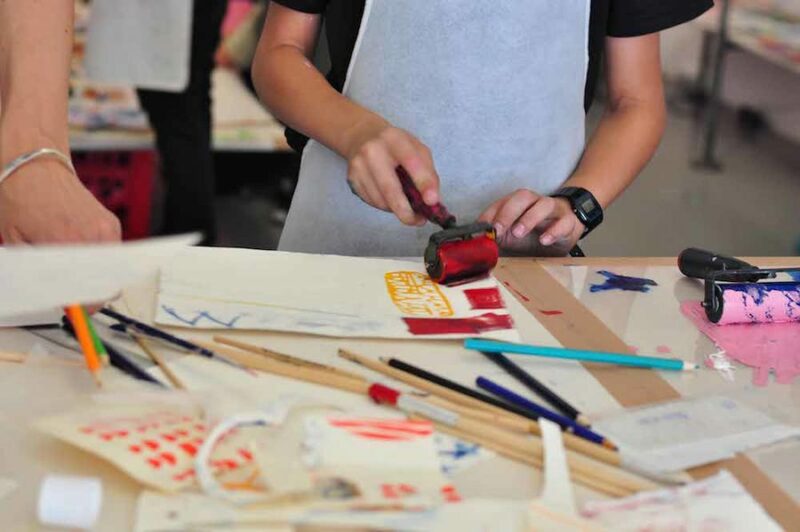 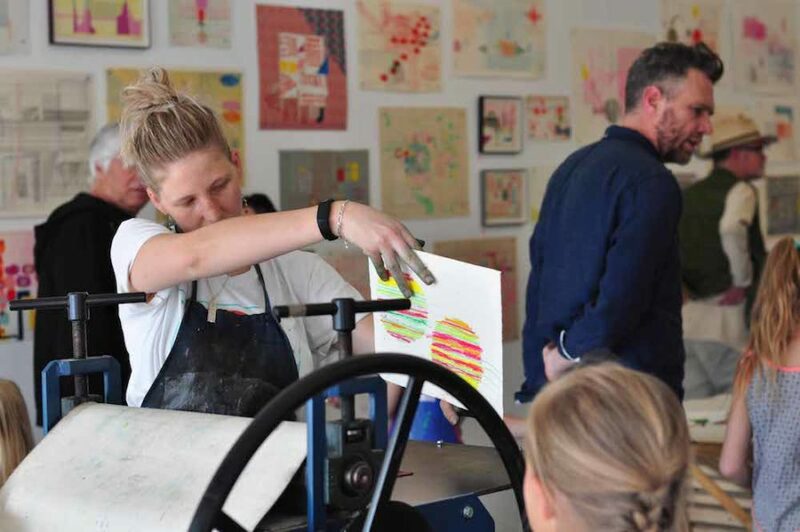 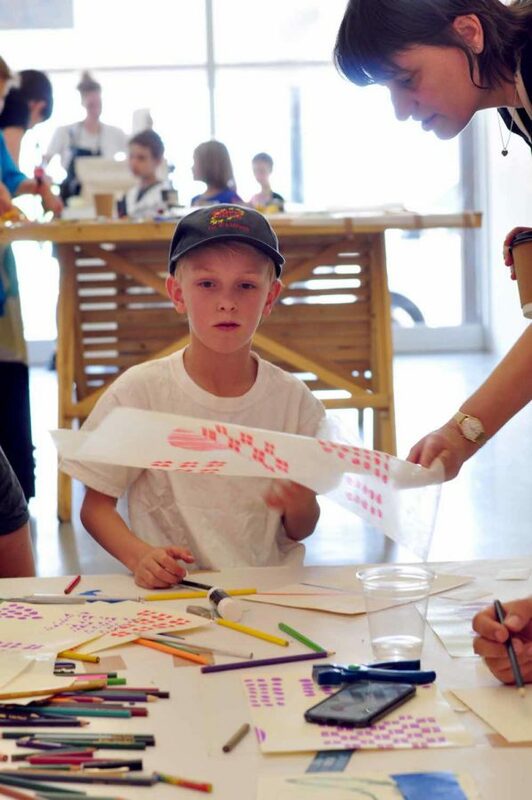 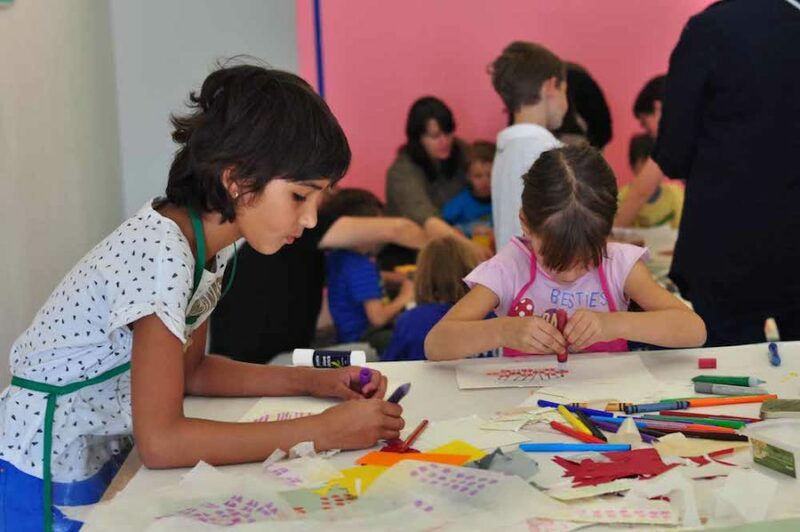 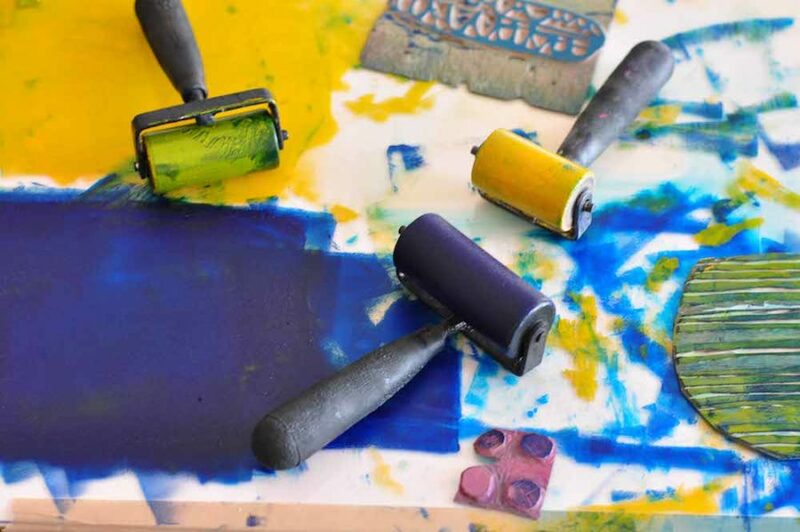 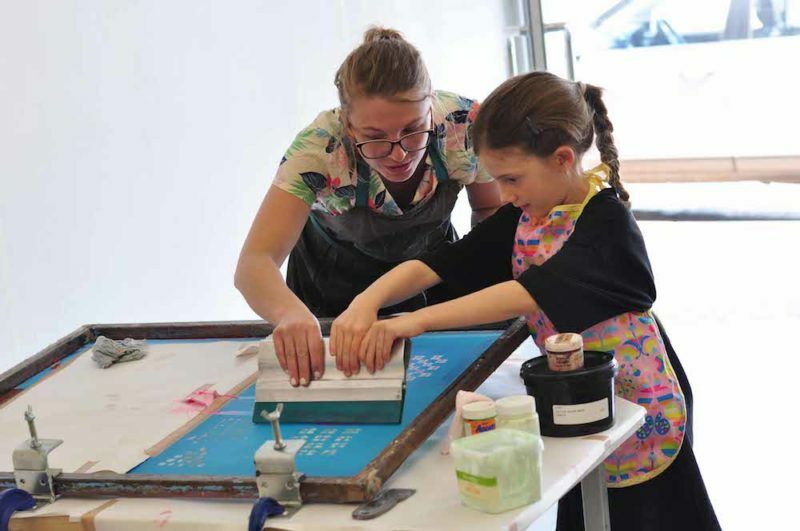 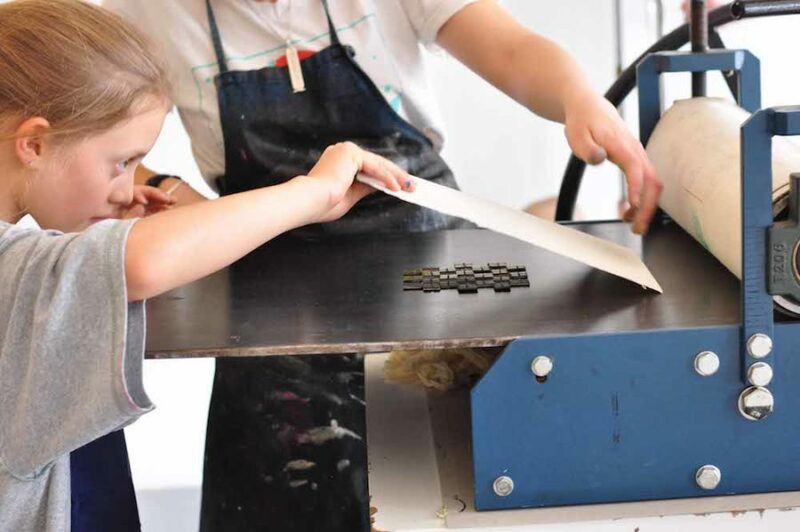 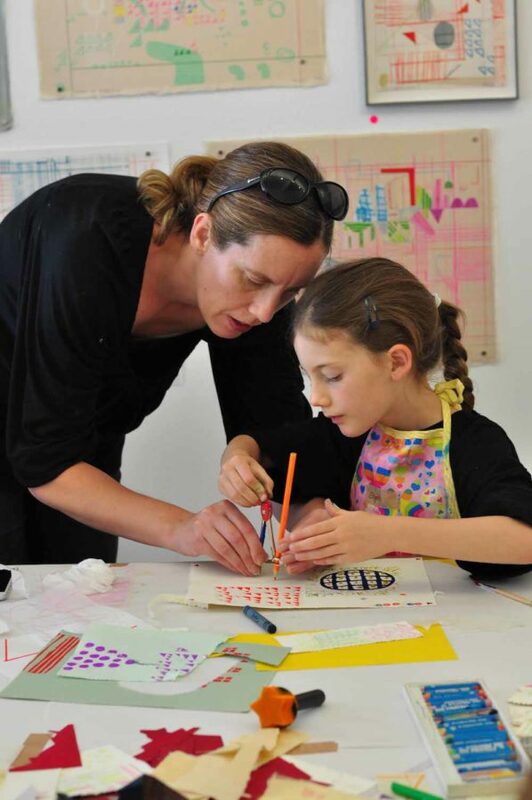 On Saturday the 22nd of September 2018, we hosted a ‘Make your own Maja’ children’s print workshop with Maja Maljević and the printers from our David Krut Workshop (DKW) at our Parkwood gallery. 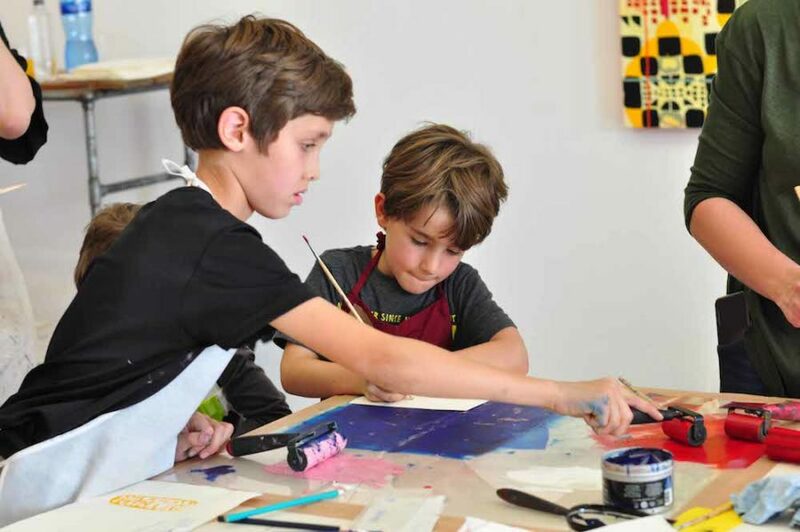 The open gallery turned into a studio for the day and provided a lively, engaging and welcoming space for the children to explore their creativity in a variety of techniques accustom to DKW and the artist. 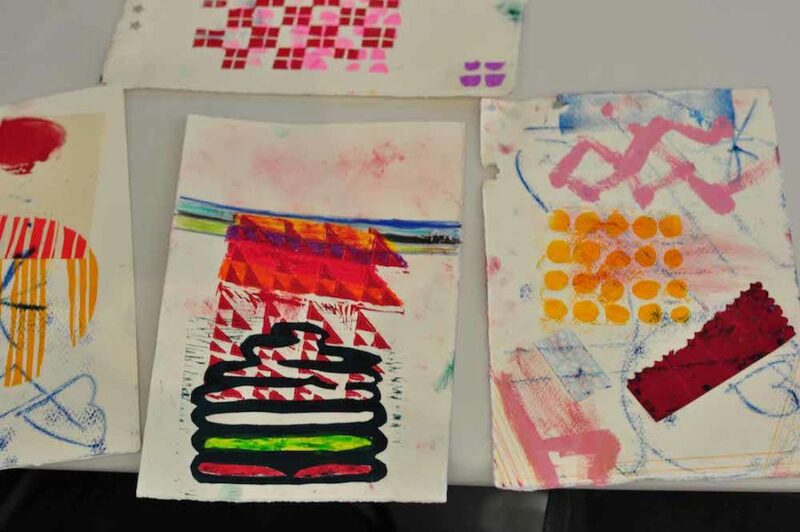 The techniques included monotype, linocut, silkscreen, drawing and collage. 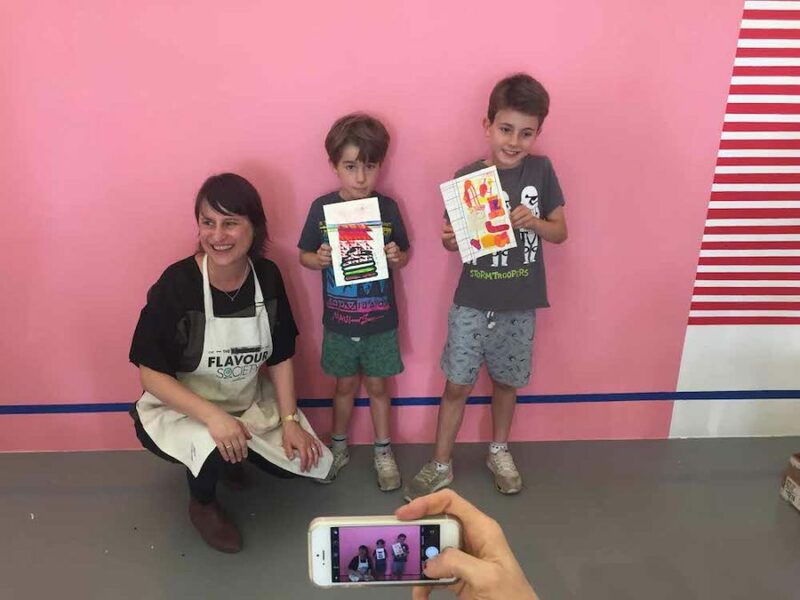 Children were encouraged to draw inspiration from Maja’s works on the wall through the process of printing on paper, cutting it up, printing some more, cutting it up, and repeating this until there is a variation of prints and techniques that could be combined in unique collages and drawings. 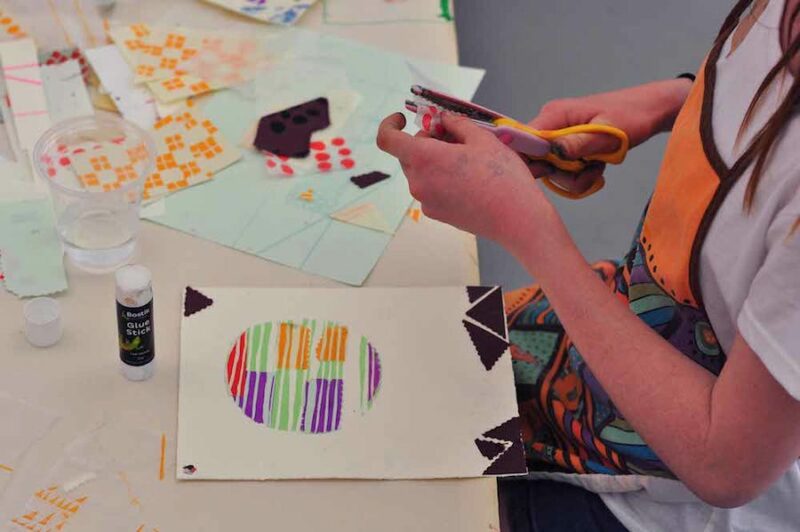 The DKW team facilitated stations where the techniques were explained and demonstrated – the children would then decide on colours and shapes that would suit their creative intentions, resulting in their own colourful artwork! 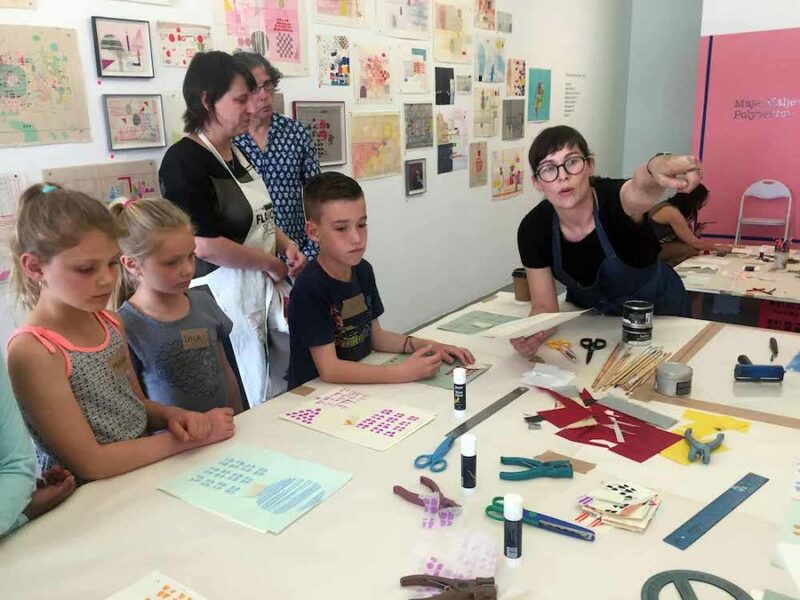 The outcome truly displayed the original creativity that children have to offer, while still learning about printmaking techniques and the work of Maja Maljević. 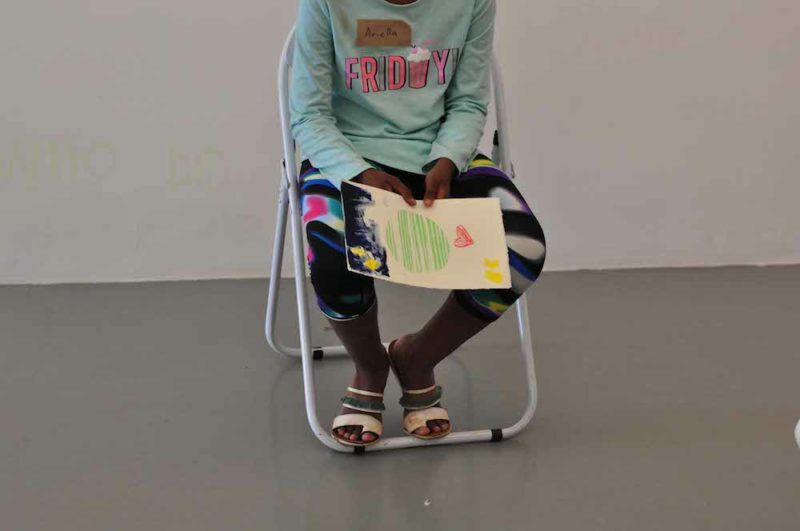 The experimentation allowed the children to build confidence in their visual language through practical expression!